We’re learning all about heart health in celebration of our I (Heart) Wisconsin monthlong celebration. Learn natural and healthy ways to reduce three common heart issues: high blood pressure, high cholesterol and blood sugar. 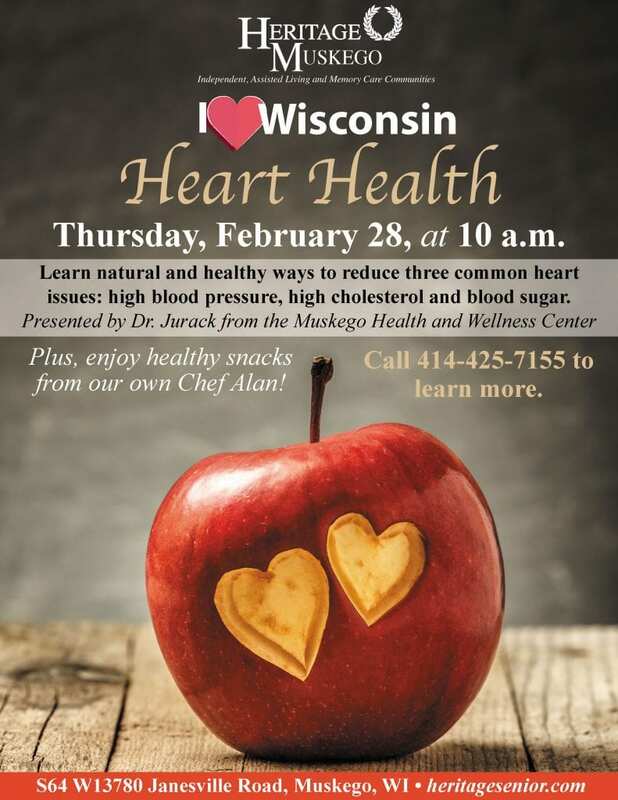 Presented by Dr. Jurack from the Muskego Health and Wellness Center, Plus, enjoy healthy snacks from our own Chef Alan. Call 414-425-7155 to learn more.